Mrs Ramya - a keen craft work enthusiast had the opportunity to associate with Angling Equipments(I)P.Ltd., a company in India which worked for Fulling Mill, UK way back 1988. Col. Andy Unwin who visited India found special talent on Mrs. Ramya and trained her during his visit and continued to train her through Mr John Nugugi, a reputed fly tyer and trainer of Fulling Mill, Kenya, to train fly tyers in India at Angling Equipments(I) P.Ltd., in India. Mrs Ramya developed her talent in the art of fly tying when she was associated with Angling Equipment and after their closure formed her own Fly Tying Company with her husband Mr Ramaesh Rajan in 1992. Mr Ramaesh Rajan - a graduate in Arts and Law who had gained diverse experience by working with various organization in different capacities, formed an exclusive fly tying unit BENZ FISHING BAITS PVT LTD, to channelize the talent of his wife for a successful business. Over the last 20 years, Benz have been supplying flies to various fly dealers/wholesalers and on-line shops in UK, USA, Canada, France, Japan, Germany, Australia, New Zealand, Norway, Denmark, South Korea and Israel. The only company in India to Tie Fishing Flies and has more than a decade of good relationship with many of our customers.The company employs only females in both production and administration and ties trout flies between 200 to 225 thousand pieces annually. Fly Fishing and its related sports activity is non-existent in India till date and has very limited raw material source for fly tying, as a result we import raw materials for fly tying from reputed companies in Japan, Canada, USA and UK. While many companies have a price by which they sell a portion of their stock at a fairly higher price for their first come customers and later sell the remaining stock for a much lower price under the banner of ‘SALE’ or ‘SPECIAL OFFER’, Benz has never offered such high or sale price in the last 20 years of business, a point to prove that our pricing are reasonable and that we stand apart from other suppliers in the industry. 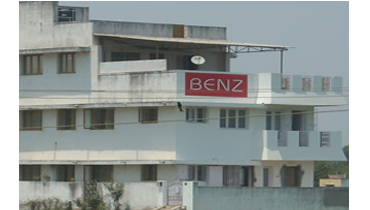 The objective of Benz is to deliver good and consistent quality, prompt delivery and best co-operation for mutual benefit and co-existence in this competitive age of business.